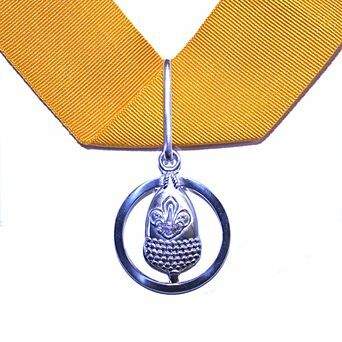 I am incredibly proud to announce that Pat Moran of Cestrian Explorer Scout Unit and our Clogwyn Activity Centre has been awarded the Silver Acorn. I would like to personally extend my thanks and gratitude to Pat for his incredible and continued contribution he makes in Mersey Weaver. Since receiving the Medal of Merit in 1999, Pat has continued to be a valuable and dedicated volunteer. Pat has been a leader with Cestrian Explorer Scouts in Mersey Weaver for over 25 years prior to which he was both Scout and Venture Leader in Warrington. Pat’s enthusiasm for the outdoors has been key to providing many adventures and incredible experiences for so many young people during this time. Mountaineering, rock climbing and canoeing are just some of the activities that Pat is not only very experienced in but also professionally qualified. Pat has always been very happy to pass on his passion and knowledge to leaders and young people, maintaining an astonishing number of permits for different activities. As a County Assessor for no less than six disciplines, Pat has enabled many others in the District and County to provide adventurous activities. On top of this, Pat also runs first response courses for leaders in the District. 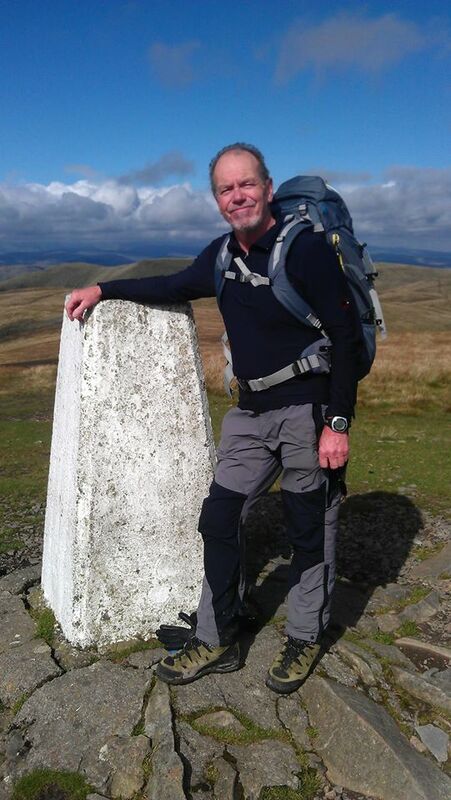 Pat has been involved with many expeditions with Cestrian and other units both in the UK and abroad, including personal exploits to the Alps and climbing of Kilimanjaro in Africa for charity. He is also very keen on bush craft, providing many hours of Instruction for the Survival base at Cheshire’s International Scout Camp known as “Chamboree”. Pat was also part of the original team to establish the Clogwyn centre in Bangor, North Wales which started off little more than an old shed for processing slates. The centre is now a jewel in the crown for the district and provides an extremely comfortable and well-loved retreat for Scouts to have nights away experiences. Pat continues to be actively involved and now looks after the bookings, finance as well as bits of building maintenance with the help of his wife Eileen. It is not unlike Pat to also give groups using the Centre requiring help to support with catering as well as outdoor activities and instruction. If you visit Clogwyn at a weekend, you will find Pat with a paint brush in hand, washing out the showers or repairing the 36 bunks. Despite still working as a freelance out door instructor/DofE assessor on top of being an active Explorer Leader, Scout Activity Assessor, Bookings Secretary and First Aid instructor; Pat still finds time to go Horse riding and is currently learning to play the Ukulele together with looking after grandchildren and his wife Eileen. Outside of Scouting Pat spends a considerable time working with Schools and Youth Clubs providing leadership training and assessment for the Duke of Edinburgh’s award scheme on a variety of activities. He also enjoys assisting groups with disabilities providing support with both Horse riding and Canal boat trips. Pats utilisation of time, enthusiasm, and commitment to Scouting is remarkable and he is more than deserving of the award of the Silver Acorn.